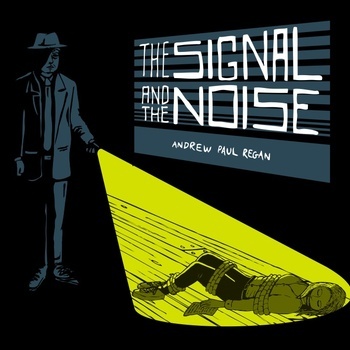 The Signal and The Noise, by Andrew Paul Regan. I’d just like to say a few words of praise for Andy‘s new album, The Signal and the Noise. It’s not the first time I’ve said nice things about him, but it’s the first time since he’s been recording under his full name, rather than as “Pagan Wanderer Lu”. I can say this for sure, though: The Signal and the Noise has finally dethroned my previous favourite Lu album, Build Library Here (or else!). It’s catchy, it’s quirky, and it’s full of songs that will make you wish that you were cleverer: so far, so good. I think that one of the things that particularly appealed to me in this album were that the lyrical themes touched on so many topics that interest me: religion and superstition, artificial intelligence, the difficulties of overcoming materialism, cold war style espionage, and cryptography/analysis… all wrapped up in fun and relatable human stories, and with better-than average running-themes, links, and connections. Oh; backing vocals, you’re too kind! But this is just another chapter in the story of my life. The final track’s a little weaker than the rest (the actual final track, not the “hidden track” bit), and I’m left with a feeling that this was so-close but not quite a concept album (which would have been even more spectacular an achievement), but these are minor niggles in the shadow of an otherwise monumental album. By the way; I’ve got a spare – who wants it? Spare copy’s gone to Claire as an early birthday present. Somehow she failed to preorder a copy of her own. Looking for an alternate opinion? Here’s a guy who didn’t “get it”. Last RT not just cos it says nice things but cos the blog contains a reading list. 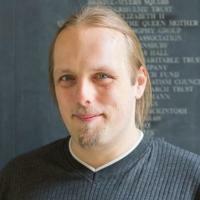 I’ve never been vain enough to compile one myself. bad.horse. You were all thinking it.